A 2011 file photo of Federal Election Commission Chair Ellen Weintraub. Weintraub warns that a new federal court decision could open the way for fraudsters to bilk political donors. Chutkan wrote that that while the FEC's regulation prohibiting candidate names to be used is meant to prevent "confusion in the voting process," the rule violates the First Amendment of the Constitution. The case stemmed from a challenge by Pursuing America's Greatness, a super PAC that supported former Arkansas Gov. Mike Huckabee's 2016 presidential campaign. The FEC tried to order the group to not use Huckabee's name on its website and on social media. 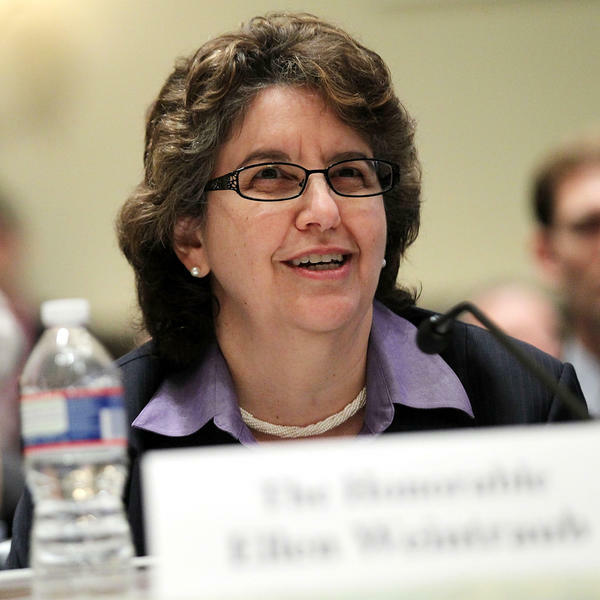 FEC chair Ellen Weintraub wrote on Twitter that the decision "will lead to confusion in the political marketplace. It provides a wide opening for scam PACs to exploit." She added that committees that are unauthorized by a candidate or campaign, like super PACs, still can't use the candidate's name as part of the committee's name. "But now they can use them everywhere else." In short: Unauthorized committees *still* can’t have candidate names in their formal names. But now they can use them everywhere else. There have already been many instances of mixed-up identities and questionable super PACs. But the court's decision could make that even more commonplace as donors try to choose a vehicle for supporting a candidate. Earlier this week, federal prosecutors charged a California man with setting up political action committees purporting to support prominent Democrats, including Sen. Bernie Sanders and former Rep. Beto O'Rourke, bilking donors out of more than $250,000. Another example, pointed out by the Center for Public Integrity's Dave Levinthal, roped in "James Bond" actor Daniel Craig, who thought he was donating to a super PAC supporting Vermont Sen. Bernie Sanders' Democratic presidential bid in 2016. The group was initially named "Ready for Bernie Sanders 2016" and "Bet on Bernie 2016," even though they had no affiliation with Sanders, who had renounced any super PAC support. Thus, the confusion from Craig and others. The FEC intervened and forced them to change it to "Americans Socially United," but the organizer of the committee showed little or no evidence of any spending to help Sanders, despite raising thousands of dollars from donors. He's now in jail for other fraud charges. With this latest decision, such duplicity could become far more commonplace, warn political money watchdogs. The ruling "is disappointing as it will embolden scam PACs," said Paul S. Ryan of Common Cause, who called on the agency to create new disclaimer requirements for political committees not affiliated with a candidate.